Please submit bugs and feature requests at GitHub. Are you a developer? Bagnon provides a rich API for developing plugins and extra rulesets! Please consider supporting Bagnon by becoming a patron or submitting a donation. 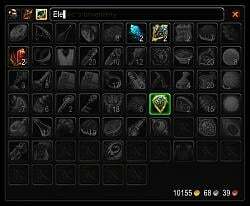 Would be cool if Bagnon was utilizing WoW window frames which already exist in the game (like many other addons do) which would make it look better and fit more into specific UI builds people make. Last edited by JinxTheGamer : 09-15-18 at 09:45 AM. i used the combination of Bagnon & Bagsync for a long time. 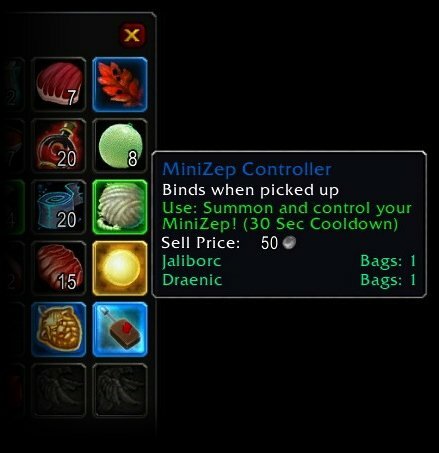 Love to see Bagnon updated for BfA. But it seems like Bagsync is abandoned. Does anyone have an other Idea how to track the items of my characters and display the information in collective tooltips? Or is it possible to fork Bagsync? It's not abandoned. I just have been in and out of sabbaticals due to medical reasons. Either way, all my addons have been updated, this includes BagSync. Click HERE for the ultimate idiot test. 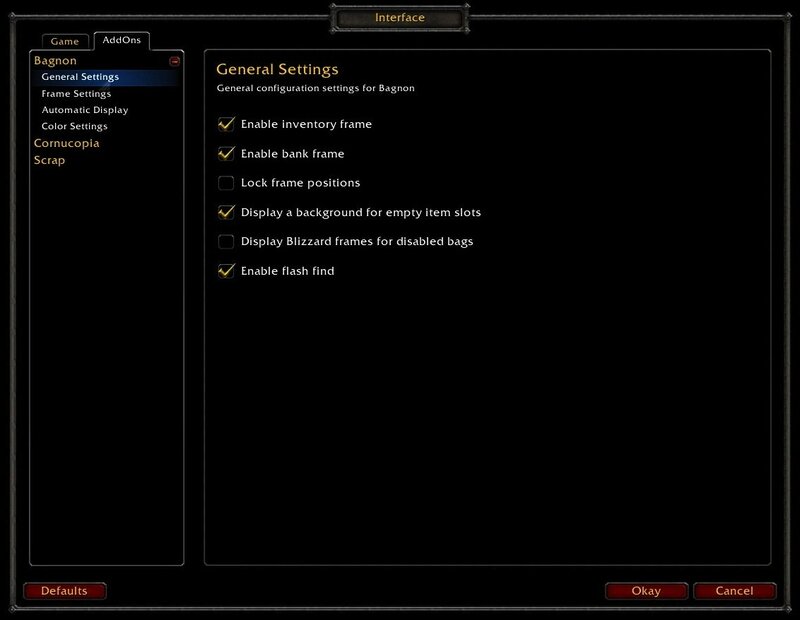 The option to disable the guild frame is greyed out. Items in the guild bank arent counted. Other than that, no errors visible. Last edited by Zasz : 07-20-18 at 06:51 AM. Last edited by chero90 : 07-19-18 at 01:32 AM. 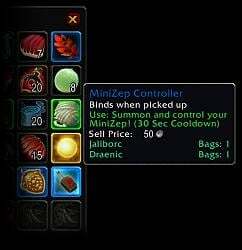 In the bank window, could you please separate the materials/reagents bag tab from the bag bar? Okay, so is there an error that resets the settings? 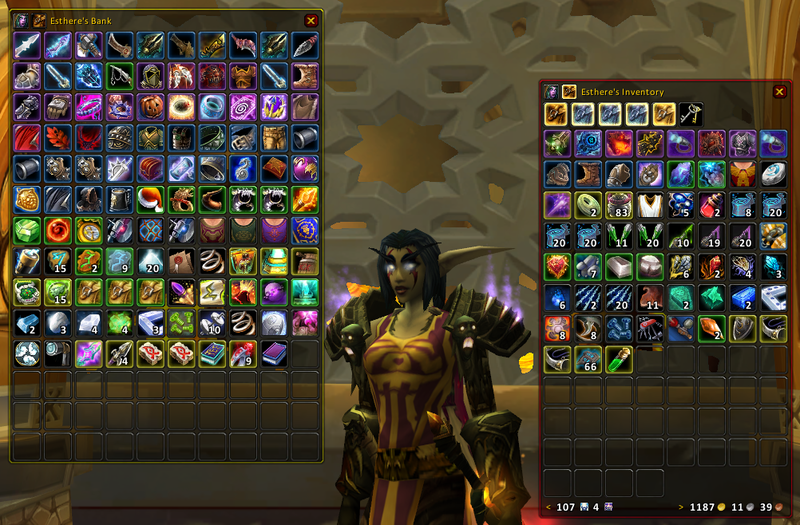 My characters all have different bags in their bank's bag slot, and I have to keep adjusting the column setting (I have everything in certain orders, organization, etc) for how I want it to look/adjust every time I log into a character (i.e. if I have to go back and forth a few times) when I go to the bank. 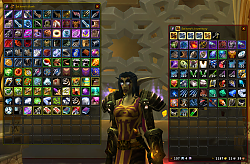 Is there a way to adjust the setting so I don't have to keep re-adjusting how I want my bank tab/bags to look when I open it?? should we be switching to beta releases on curse? Is Bagnon only being maintained at Curse now? WoWInterface then copies the releases over here with my permission. Sadly, as a single man managing all of this, I can't afford to follow feedback on multiple websites. Official releases are on Curse, development is on GitHub. I'd come here too if I could. Last edited by jaliborc : 01-11-18 at 02:06 PM. 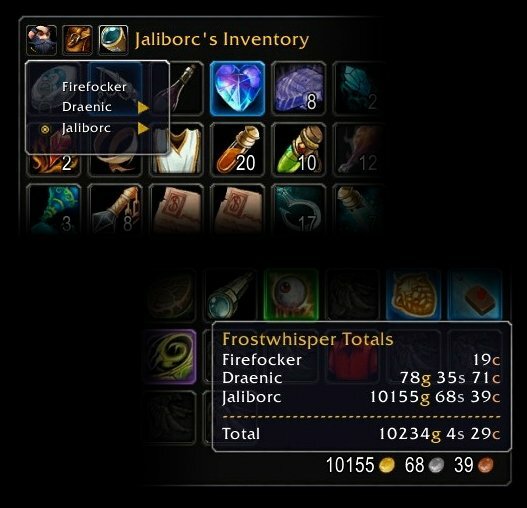 Someone uploaded a temp fix on the addon's github if you want to use that till the official update happens, it seems to be working okay for me. If you are worried about downloading it then you can modify the files yourself all the info is in the ticket. There are several sound play errors in your 8.28th release version. Keeps bags from opening and deleting settings/resetting does not resolve the issue. Someone has posted a fix on your curse page but it involves changes across all 4 parts of the addon that is difficult for the common user. is this updated for 7.0 ?